Gemma Open Door, 9781936846573, 108pp. The American writer Suzanne Kamata had lived in Japan for more than half of her life, yet she had never explored the small nearby islands of the Inland Sea. The islands, first made famous by Donald Richie's The Inland Sea 50 years ago, are noted for displaying artwork created by prominent, and sometimes curious, international artists and sculptors: Naoshima's wealth of museums, including one devoted to 007, Yayoi Kusama's polka dot pumpkins, Kazuo Katase's blue teacup, and a monster rising out of a well on the hour in Sakate, called "Anger at the Bottom of the Sea"--to name a few. Spurred by her teen-aged daughter Lilia's burgeoning interest in art and adventure, Kamata sets out to show her the islands' treasures. Mother and daughter must confront several barriers on their adventure. Lilia is deaf and uses a wheelchair. It is not always easy to get onto -- or off of -- the islands, not to mention the challenges of language, culture, and a generation gap. A Girls' Guide to the Islands takes the reader on a rare visit by a unique mother and daughter team. 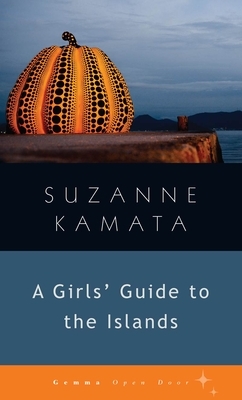 Suzanne Kamata is the author of the award-winning young adult novel Gadget Girl: The Art of Being Invisible, and the author or editor of a range of books. Originally from Michigan, she now lives in Tokushima, Japan, with her family, and teaches EFL at Tokushima University. Suzanne holds an MFA from the University of British Columbia.